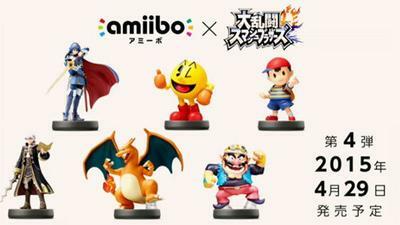 The characters include Wario, Charizard, Pac-Man, Ness, and Fire Emblem’s Lucina and Robin. In addition to these six characters, Nintendo also confirmed that it would be re-releasing Marth as well, one of the most sought after of the lesser known characters. Thank goodness too, because I don’t have mine yet! 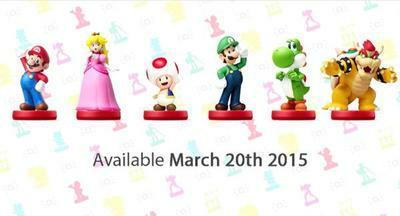 In addition to the new Super Smash Bros. amiibo figurines, Nintendo also announced a new line-up of Mario Party 10 amiibos which include Mario, Luigi, Peach, Yoshi, Bowser and Toad, finally making his amiibo debut. Call me sentimental, but I kind of prefer these designs to the Smash Bros. ones. They look more like the classic Mario art style than the Masahiro Sakurai art. A Mario Party 10 amiibo bundle is also set to include the new Mario figurine, used to unlock board game pieces, and a bundle for Captain Toad: Treasure Tracker will be released including Toad. This will be used to unlock a new game mode in which Toad searches for a single Toad pixel on a map. Sounds fun actually. Amiibo had its doubters, but if anybody still wants to call these things a failure, there is a soapbox somewhere in Antarctica with your name written right on it. Amiibo has been huge for Nintendo over the last few months, and with reprints of characters for different games, there is no limit to what Nintendo can put out. Nor is there a limit to the profit it is going to pull in this year from these little toys.